You can restricts an entire Playlist to your preferred Password Package. This will make all videos and media files within the playlist to require a password from your chosen Password package. All future videos that are added to the playlist will automatically have the currently active Password Package applied to them. If you want to check out some Password Restriction Demos and extra information please visit our Password Protection information page. To set a all videos and media files within a Playlist to be password protected, simply click onto the Playlist button in your Media Section. 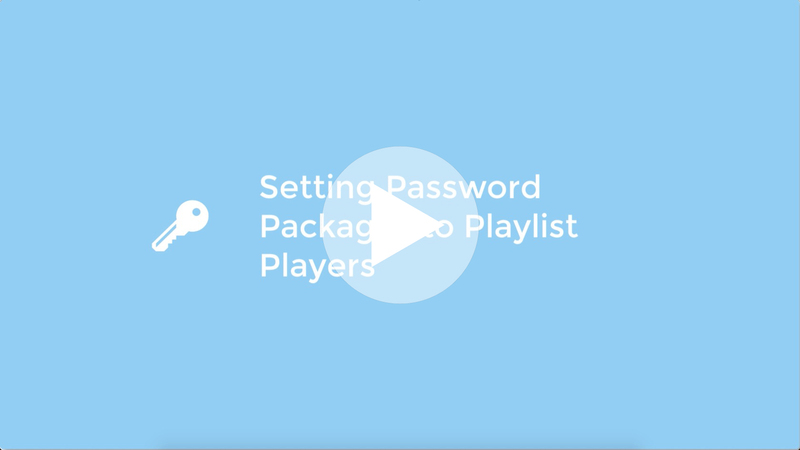 Select the Playlist you would like to change to Password Protected. This will open a popup information box asking you if you want to change the current default package to your newly chosen Password Package. You have now applied your chosen Password Package to your desired Playlist.